Access to an excellent selection of 4-shaft and 8-shaft floor looms that range in weaving width from 24 to 120 inches, as well as to table looms, spinning wheels, drum carders, and more. Access to a monthly group Spin & Chat. Learn new skills and work on projects with talented enthusiasts. A comprehensive fibre arts library of books, DVDs, and magazines, some of which we have subscribed to for more than 60 years. Monthly meetings that feature Show & Tell as well as a guest speaker, a hands-on activity, or a demonstration — fun and informative opportunities to get to know a friendly community of weavers and spinners. Occasions to expand your skills by participating in projects in our studio and in the wider community. The opportunity to sell your work through our semi-annual Show & Sale, held in Waterloo every April and November. 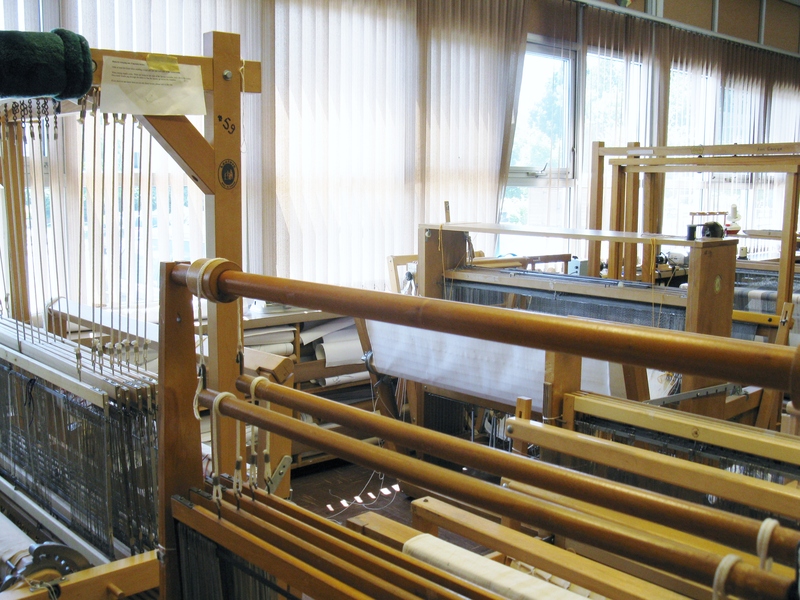 Access our weaving and spinning equipment as well as our fibre arts library. The option to buy and sell equipment and supplies at our popular auction, held annually in February. A subscription to our newsletter, Homespun News. We participate in Five Counties, a regional seminar and challenge. 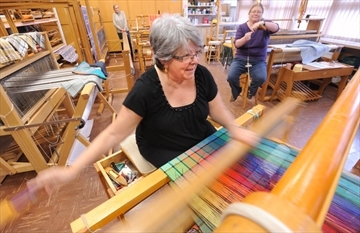 We are a member of Ontario Handweavers & Spinners. We are a member of The Guild of Canadian Weavers. $125 per year. Membership is renewed in January and pro-rated for new members who join later in the year. Contact us for a tour of the Guild studio. Come out to one of our monthly meetings, held at 7:00 pm on the first Wednesday of the month. Contact us for details. Register for a scarf workshop or a weaving or spinning class. Learn more.